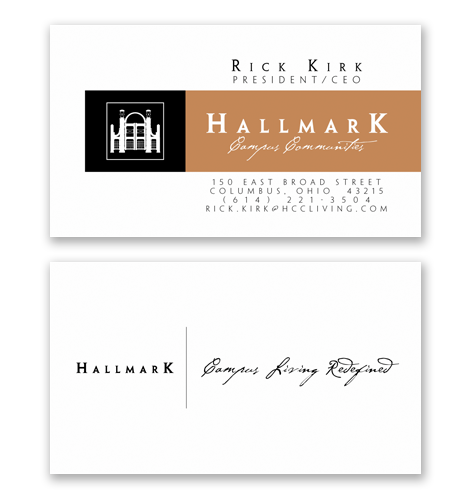 business cards have become an artful, and often personal, expression of the card giver, and are an important component of a customer's impression of your organization and your brand. 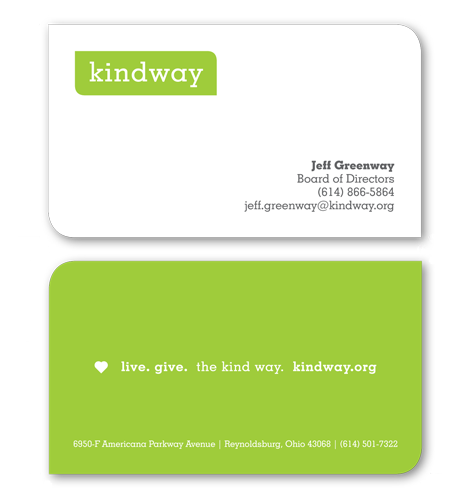 these business cards were created as part of a rebranding effort for this local charity group that also included a new website design. 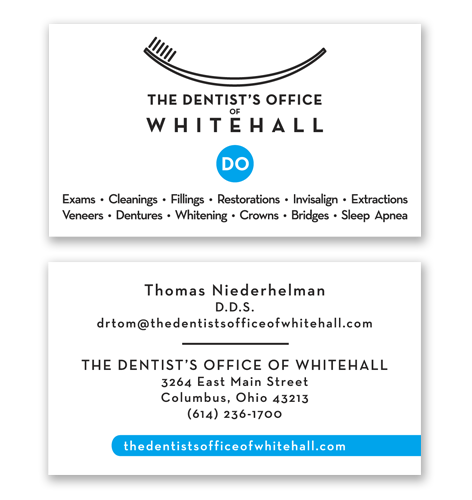 moshBox designed business cards for this newly rebranded dental office in whitehall, ohio. the rebranding project also included a new web site design. 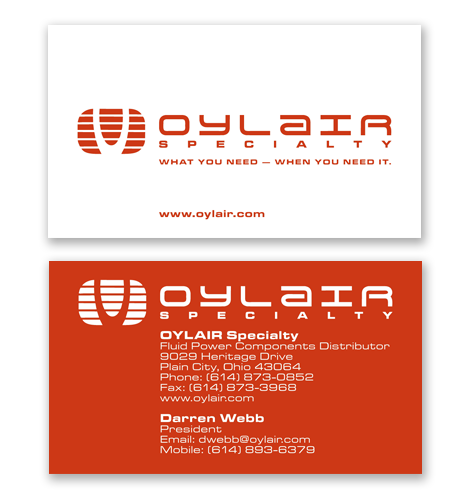 these business cards were designed by moshBox for a regional distributor of pneumatic parts. 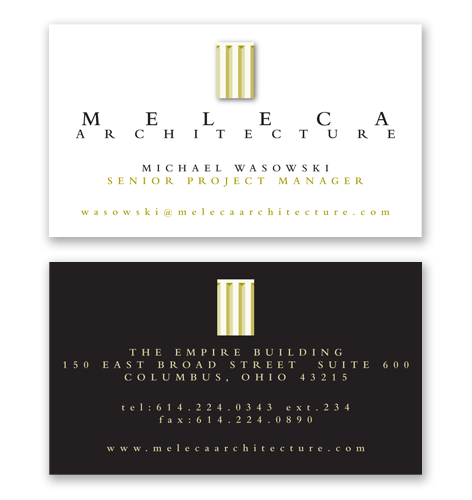 the above business cards were created for a columubus, ohio architecture firm as part of a complete print marketing package design project. 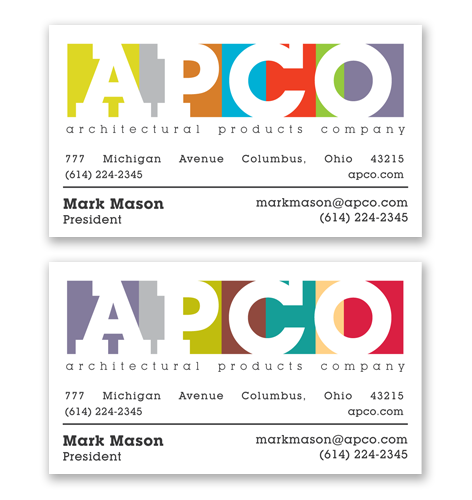 moshBox developed these two conceptual business card designs for a central ohio home improvement company as part of rebranding work. this card design was fashioned for a national campus community developer. moshBox created the logo after first developing a full-size set of gateway design drawings and a 3D model.